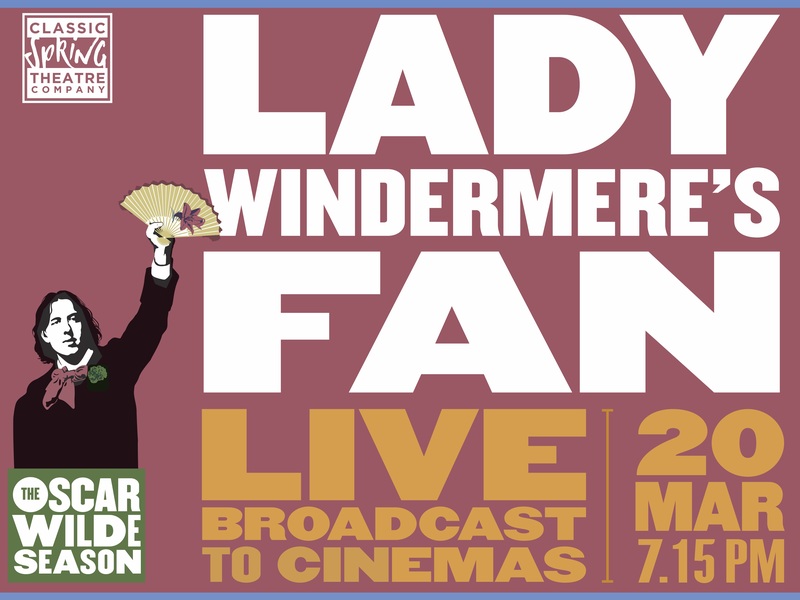 More2Screen is delighted to announce the live cinema broadcast of Kathy Burke’s critically acclaimed new production of Lady Windermere’s Fan on Tuesday 20 March 2018, 7.15pm. Oscar Wilde’s social comedy is the second in the Classic Spring Theatre Company’s year-long Oscar Wilde Season at the Vaudeville Theatre and will be broadcast live by satellite to 420 cinemas across the UK and Ireland. Lady Windermere’s Fan also features rising star Grace Molony, who recently won Best Actress in The Stage Debut Awards 2017 and will star in the upcoming feature film Mary Queen of Scots alongside Oscar Nominees Saoirse Ronan and Margot Robbie. The role of Lord Lorton is played by Joseph Marcell, best-known for his role as Geoffrey the butler alongside Will Smith in hit TV series The Fresh Prince of Bel-Air. Joshua James plays the role of Lord Windermere. His recent stage credits include King Lear at Shakespeare’s Globe and Joe Wright’s Life of Galileo at the Young Vic, and he won a commendation at the Ian Charleson Awards for his performance in Young Chekhov at the National Theatre. More2Screen will also broadcast the final two productions of Classic Spring’s Oscar Wilde Season from the Vaudeville Theatre to cinemas nationwide: An Ideal Husband on Tuesday 5 June and The Importance of Being Earnest on Tuesday 9 October.